As with anything in life, problems are bound to occur with your heating system. Even with regular maintenance, issues may arise that require the attention of a Katy HVAC repair technician. However, it is important to have your system tuned and inspected before the cold weather hits the Houston area. You want your home’s temperature to remain comfortable as the outside conditions begin to change. A problem with your heating unit can range from a minor inconvenience to a serious issue that affects the wellbeing and safety of your entire family. Finding a problem early allows us to make things right before serious issues occur. One of the biggest questions facing Sugar Land air conditioning repair technicians is whether fixing a problem is the most cost effective approach. Older systems are much less efficient than new units. When a simple repair will not solve your problem over the long term, it is smart to consider a system upgrade. This will provide peace of mind that you have a dependable heat source during cold weather. Many times, the cost of a new unit will be offset by the amount of energy savings it brings. When you are having problems, our experienced Katy air conditioning repair technicians will assess what is wrong. Our knowledge of all major brands will help provide you with fast, professional services. If your high efficiency furnace has a leak or is not heating properly, we troubleshoot the issue and provide a detailed estimate. 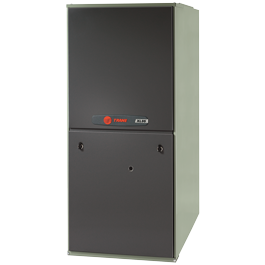 A furnace’s efficiency is measured in annual fuel utilization efficiency. The higher the AFUE, the more efficiency you enjoy. As a furnace ages, peak performance becomes limited. Although regular maintenance prolongs the unit’s useful life, things can go wrong at any time. Our team will repair your furnace so that it performs as it was designed. 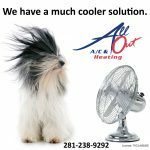 At All Out A/C & Heating, our heating specialists can handle a variety of tasks. 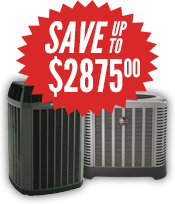 The most common problems facing our Katy air conditioning repair team is the inability of a heat pump to push enough air through a house and having a unit that runs more than normal. Other issues involve noisy air ducts and a system that keeps shutting down. All of these problems are serious and affect your overall heating costs. We get to the root of the issues and recommend the best course of action. Since emergencies strike at the worst times, our Sugar Land HVAC repair team is available 24/7. Do not hesitate to call us when you are having issues with your heating system. All labor is performed by technicians who have received rigorous training. We strive for total customer satisfaction so that you will again enjoy a comfortable living environment.